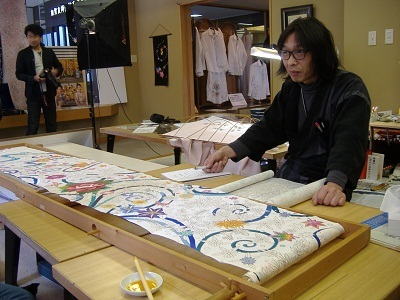 Kaga Yuzen is a silk dyeing of traditional designs, which has flourished as one of traditional arts and crafts unique to Kanazawa. 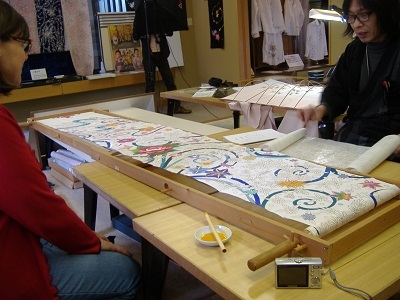 The yuzen artisan explains his joint work with overseas visitors to color the design on silk. 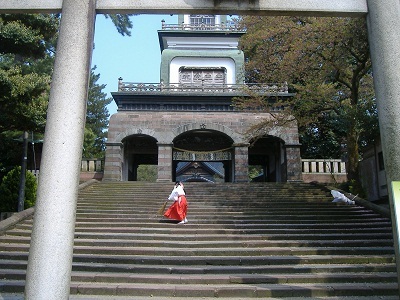 One design is painted by each visitor. 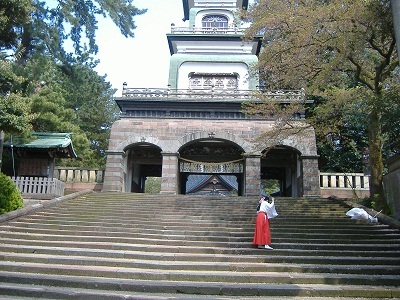 So, a visitor chooses one of the patterns. The visitor starts coloring a butterfly pattern. 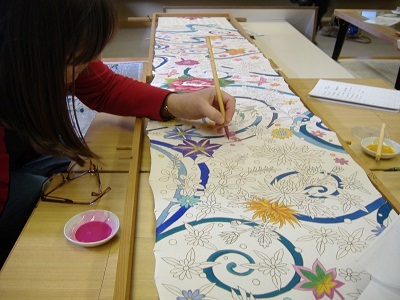 The designs are drawn with indigo plant ink, called Aobana. Aobana juice is extracted from Tsuyukusa which is translated as a spiderwort or a dayflower. 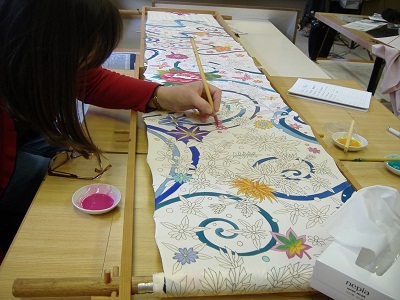 You can enjoy the coloring of designs.